ST. PETERSBURG, Fla., December 7, 2017	(Newswire.com) - Today, Leone Asset Management (PINK SHEETS: LEON) announces their subsidiary Go Epic Health has signed an exclusive worldwide distribution agreement with Key2Health Inc., Tampa, Florida. Price continued, saying, “Topical analgesics are a very popular item for most household medicine cabinets and in 2014 the market size was approximately $2.9 billion dollars. We feel with the previous success that Arth Arrest has experienced coupled with a new dynamic market awareness campaign we can experience significant revenue growth from the addition of the product." Leone Asset Management Inc. is a multi-national conglomerate with subsidiary companies that operate in Health and Wellness, Supplement Manufacturing and Distribution and Agriculture Management. 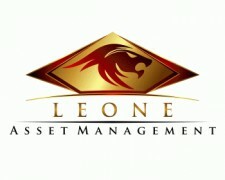 For additional information, visit www.leoneasset.com. Go Epic Health, a Leone Asset Management subsidiary, is a nutritional product holding company which owns the intellectual property and worldwide manufacturing and distribution rights to Cholesterade®, a natural cholesterol-reducing product created by the late Dr. Robert Cade, creator of Gatorade®. Go Epic's wholly owned subsidiary, American Retail Alliance, markets and distributes Cholesterade® as well as other new and innovative consumer goods through the nation's largest retail pharmacy chain stores, drug and health food stores and product-specific catalogs. For further information, please visit www.goepichealth.com and www.gocholesterade.com. This press release may contain "forward-looking statements" within the meaning of the federal securities laws. In this context, forward-looking statements may address the Company's expected future business and financial performance, and often contain words such as "anticipates," "beliefs," "estimates," "expects," "intends," "plans," "seeks," "will" and other terms with similar meaning. These forward-looking statements by their nature address matters that are, to different degrees, uncertain. Although the Company believes that the assumptions upon which its forward-looking statements based are reasonable, it can provide no assurances that these assumptions will prove to be correct. All forward-looking statements in this press release are expressly qualified by such cautionary statements, risk and uncertainties, and by reference to the underlying assumptions. Leone Asset Management, Inc., is a multi-national, multi-industry conglomerate with subsidiary companies that operate in Health and Wellness, Research and Development, Agriculture Management and Infrastructure development.